Access, Card, and Parking Services is committed to enhancing the campus experience of our students, faculty, staff, and affiliates. We leverage technology supported by personable direct service in harmony with the University's mission. 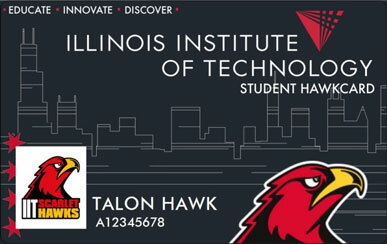 Access, Card, and Parking Services manages the production of the HawkCard issued to all students, faculty, staff, affiliates, tenants, and visitors of Illinois Institute of Technology. We oversee access management of the HawkCard to provide safe, convenient, and quick access to campus services. Access, Card, and Parking Services manages the parking services offered to students, faculty, staff, affiliates, tenants, and visitors of Illinois Institute of Technology. Our purpose is to address the parking needs of the Illinois Tech community and provide parking options that balance price and convenience. Campus parking areas vary in terms of location and proximity to campus facilities. Official campus signs, maps and markings are designated to facilitate a more organized parking experience. Like and follow our Facebook page https://www.facebook.com/illinoistechacaps to get the latest news from ACaPS!